The Tubi Style catalytic converter is also a custom component. Two types are available to help cut emissions without impinging on engine sound. Designed to meet the specific demands of the track racing world, these are guaranteed to cut pollutant emissions with a smaller number of cells than standard factory systems. This not only reduces weight but also exhaust back pressure which boosts power – plus it delivers a superb exhaust soundtrack. 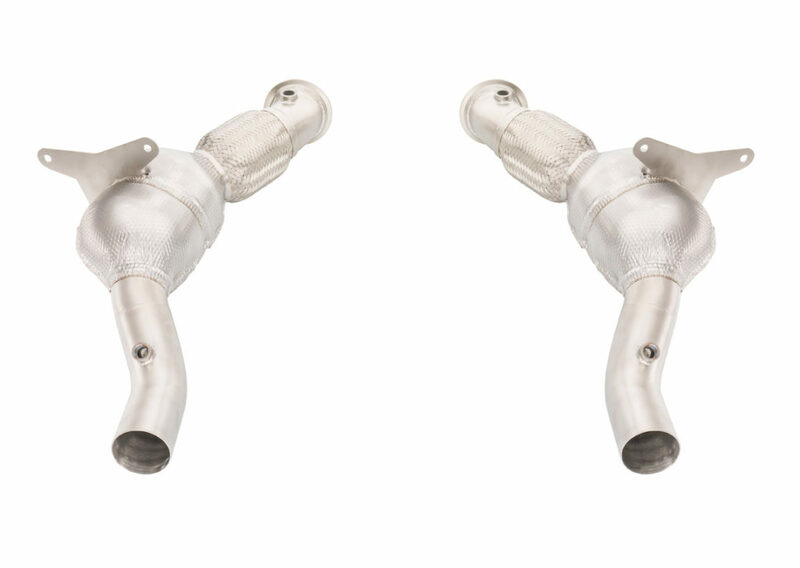 These are tubes that permit the complete removal of the catalytic converter which optimizes weight and exhaust back pressure as well as boosting sound. As we are aware that full removal of this cat can create sound quality and factory ECU mapping issues, Tubi Style can also, where necessary, integrate a muffler into the tips to guarantee the best possible result in terms of both sound and performance.